Look at this graph, dear readers. In my Contact Strategy projects (click here for the booklet - email me for your own, customized project - kevinh@minethatdata.com), this relationship repeats, over and over and over again. It's the relationship that Clario and other vendors in our industry don't share with you. Most catalogers zoom well past what I call the "Danger Zone". The Danger Zone is the place where no matter what you do, profit does not fundamentally change. Whether it is Clario or me, we both find the optimal profit level (in the graph above, it's at about 18 million catalogs). What most catalogers who do not use Clario or my services find out is this - it is easy to go past the Danger Zone - and then you go too far past the Danger Zone. 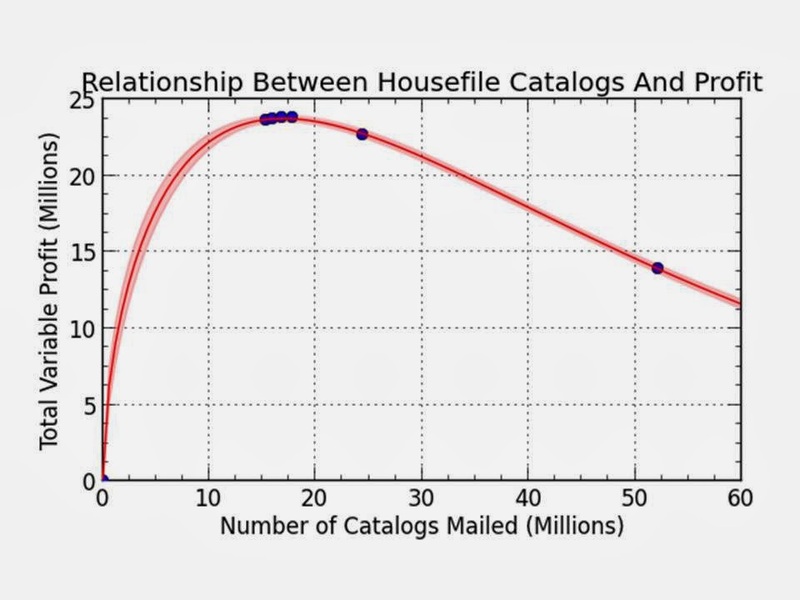 In the graph, we generate about the same amount of profit at 10 million housefile catalogs as we do at 25 million housefile catalogs. Let's pretend that the average housefile customer receives 18 catalogs a year. We want to simply mail the customer a 19th catalog. 18 Catalogs = $2.22 demand per book, $0.39 profit per book. 19 Catalogs = $2.16 demand per book, $0.37 profit per book. What we're talking about here is a 3% demand hit - that's basically undetectable with the tools most circulation experts use. Some of your segments will generate a 5% gain, some will generate an 11% loss, with an overall 3% demand hit. Again, you'll never detect it in your RFM-centric reporting. 20 Catalogs = $2.11 demand per book, $0.34 profit per book. Once again, you can barely tell this is happening, when viewing things on an annual basis. But you sense that profit isn't where it needs to be. Let's add a catalog!! 21 Catalogs = $2.06 demand per book, $0.32 profit per book. Again, you're looking at all this stuff on a segment level, so you don't notice a 2.5% demand hit, and who the heck cares about profit anyway, that's what that bean-counting CFO cares about. So let's add another catalog! 22 Catalogs = $2.01 demand per book, $0.30 profit per book. 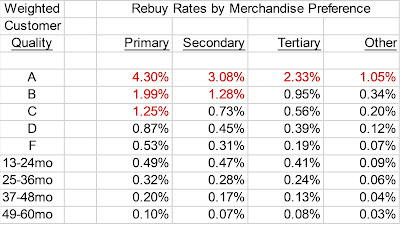 Again, just a 2.5% demand hit. Here's what needs to happen. We need to compare the difference between 18 catalogs per customer per year and 22 catalogs per customer per year. Now let's add things up, on an annual basis, per customer. 18 Catalogs = $40.00 demand per customer, $7.00 profit per customer. 22 Catalogs = $44.22 demand per customer, $6.69 profit per customer. 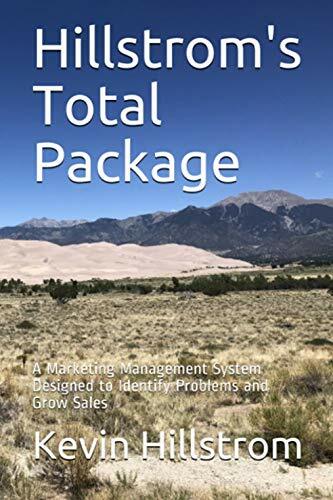 18 Catalogs represented "the Danger Zone" - it was the place where you can keep adding catalogs and think you're doing good, but honestly, you're harming the business. Have Clario outline, for your business, where "the Danger Zone" is. Have Clario show you what happens when you go 20% past it, or 40% past it. If they won't share this analysis with you, send you data to me, and I'll tell you what is happening with your business.